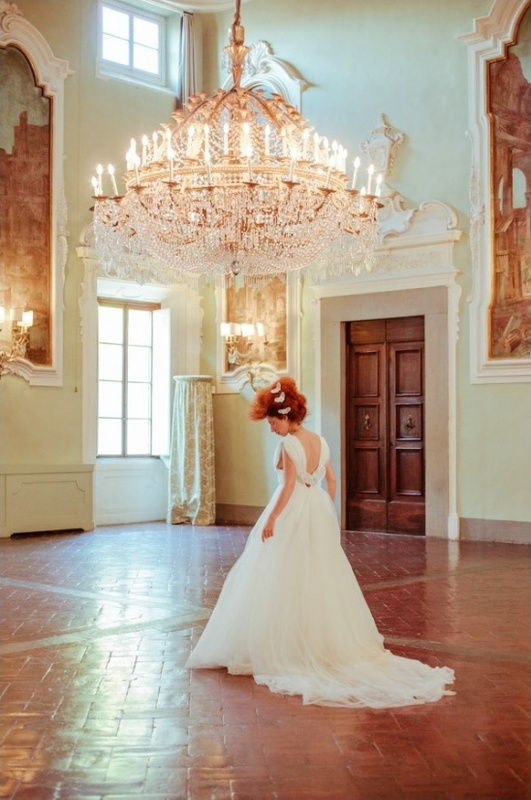 Marie Antoinette was known for an extravagant lifestyle that practically radiates from the wall of this gorgeous Italian palace where our next wedding inspiration was shot. 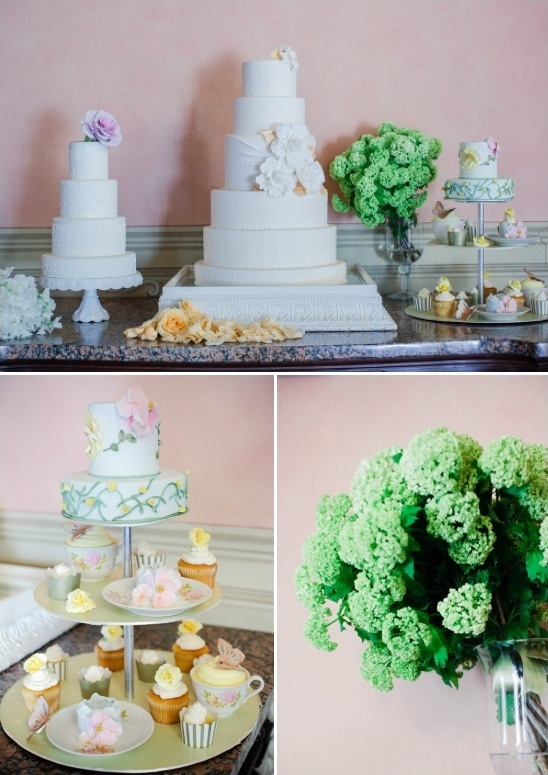 If you long for an over the top, tea party fit for a queen wedding, then you are in luck. 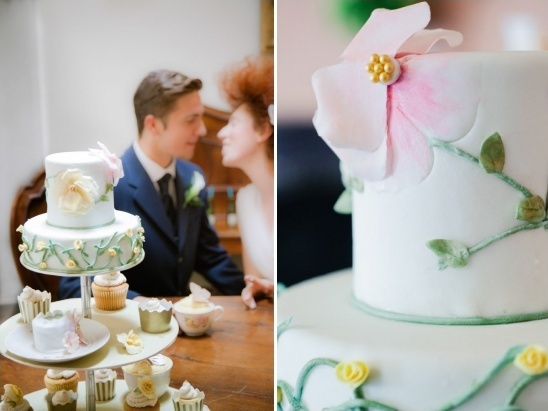 These "Let them eat cake" wedding ideas are sure to make your jaw drop. We should know, ours are still on the floor. 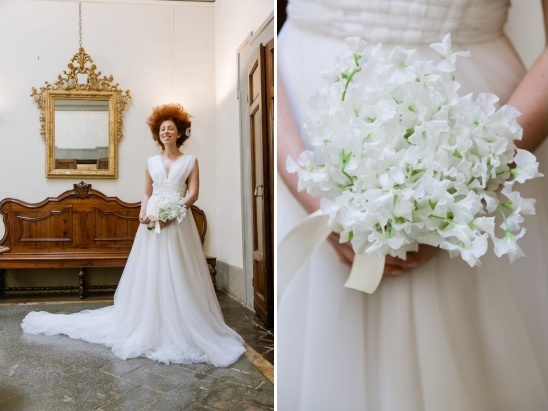 Brought to you by the creative talents of Franci's Flowers Wedding design and Innocenti Studio we promise you will not be able to peel your eyes away from these astonishing photos. Psst! are you intrigued or confused? 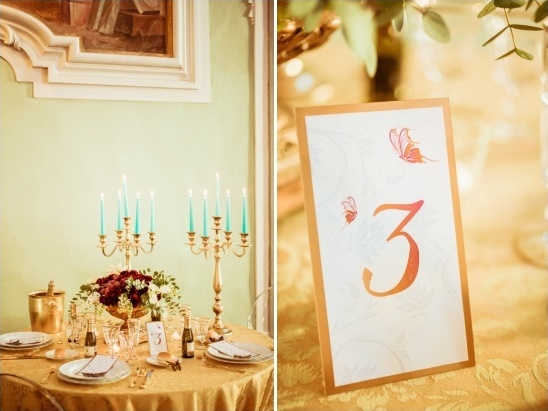 Not sure, take a little more time with even more of the details in the full gallery. We guarantee there is tons more to see there and don't forget to check out the short film of the shoot at the bottom of this post! 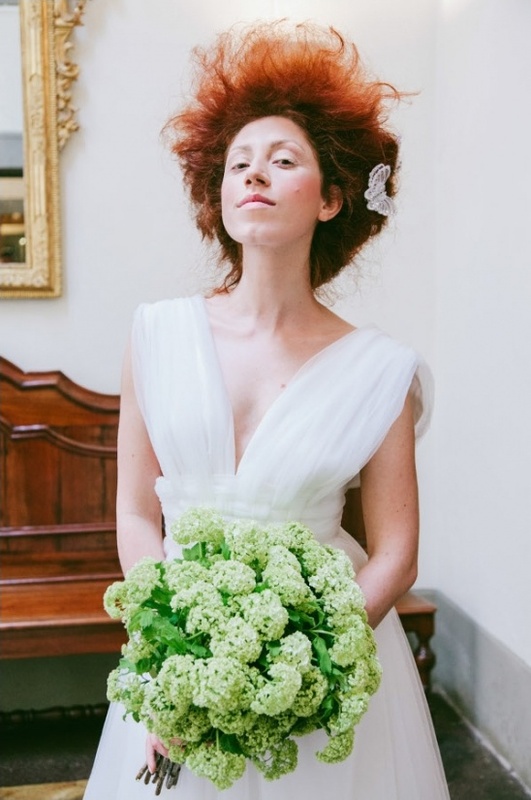 This shoot was greatly inspired by its gorgeous location, Palazzo Ximenez in the heart of Florence. 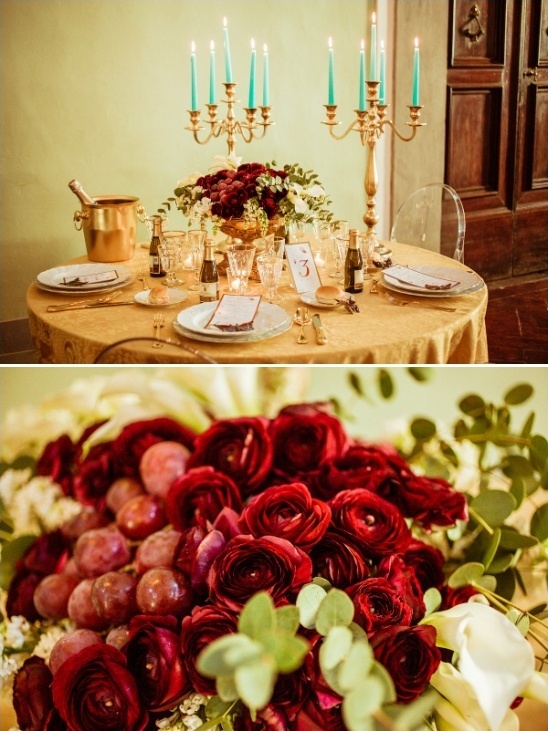 A sense of history, heritage, and creative display are all there, in rooms with magnificently timeless taste. 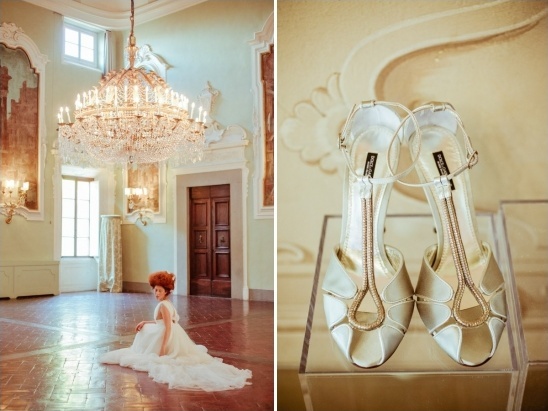 Taking a few cues from the opulence of the venue, this shoot is intended to tell the story of a day dream. 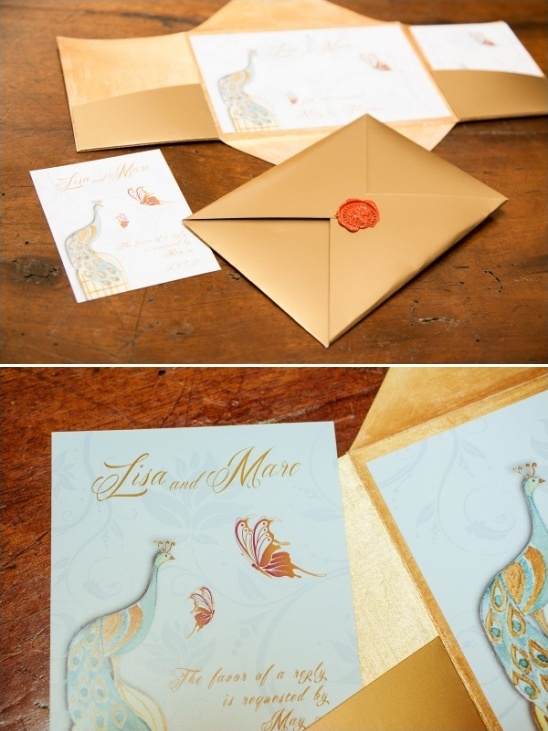 Starting with the lovely gold peacock inspired stationary by Francesca Pulitano, the stunningly quaffed model floats through a golden glowing tea party in an Anna Fucà Atelier couture wedding gown. 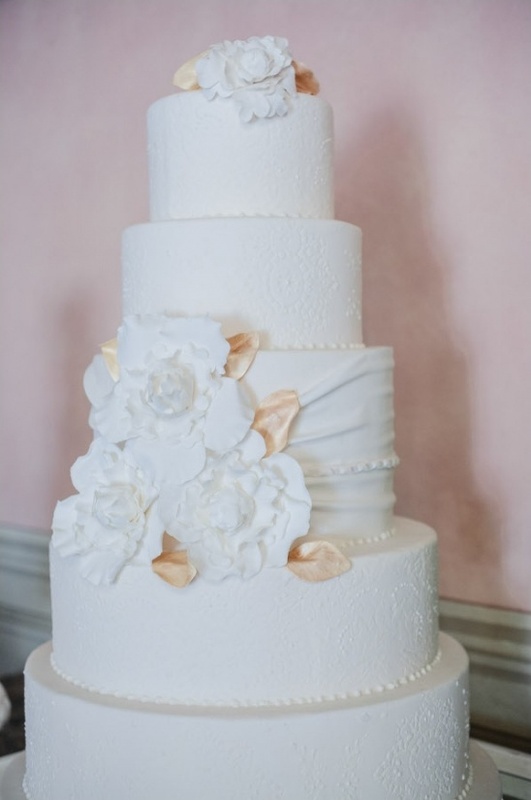 The dream lifts just as we encounter an amazing array of wedding cake choices all beautifully created by Melanie Secciani. 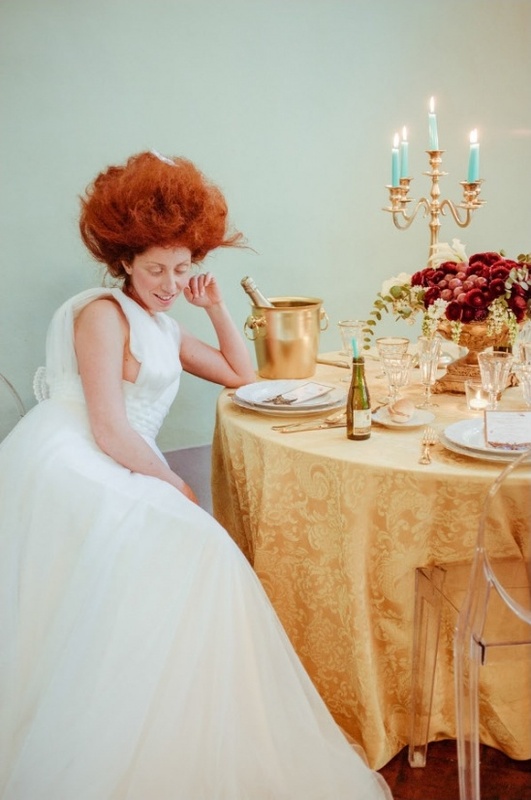 Check out the wedding film from Innocenti Studio below to get a closer look at this let them eat cake wedding!